Prince is a stunning silver grey male with a thick black band around his middle. He fibre has length, fineness, crimp and shine. Prince has great conformation. 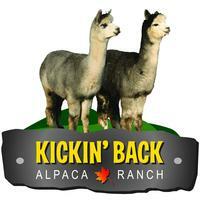 We are so positive that Prince is the whole package of what is right in alpacas that we bred him to 11 of our females. His first cria is due May 28th. We will be posting updates as his crias arrive.